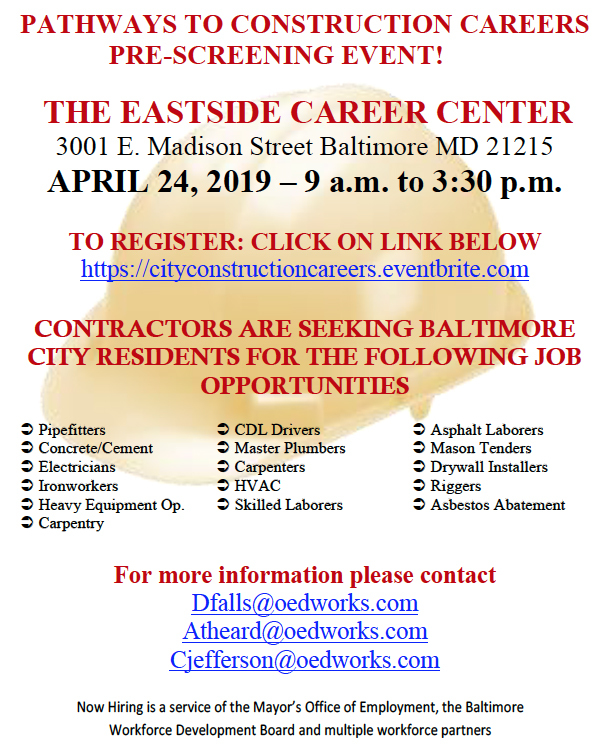 All applicants must register with the Maryland Workforce Exchange. For a more detailed description of each job listed and for additional job listings, visit the Maryland Workforce Exchange (MWE) at: https://mwejobs.maryland.gov. Please reference the number next to the position. If you do not have access to a computer or email, stop by a career center listed below. Click here to see the complete list of Now Hiring job opportunities.